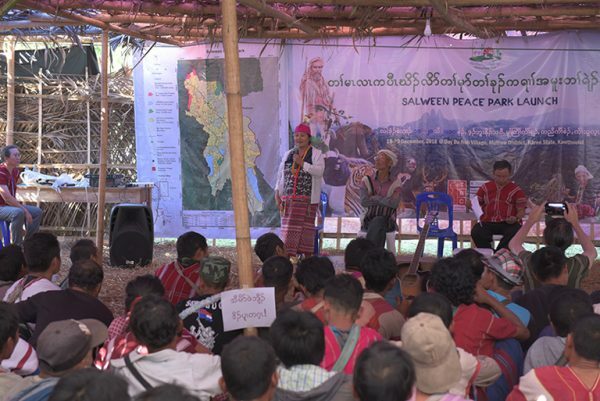 A three-day event in mid-December 2018 that featured traditional Karen ceremonies and performances was held to mark the ratification of Salween Peace Park’s charter, which was developed by Karen communities to embody their “aspirations for genuine peace and self-determination, environmental integrity and cultural preservation,” according to a statement. The Salween Peace Park encompasses 5,485 square kilometers (nearly 1.4 million acres) of the Salween River Basin, including more than 340 villages, 139 demarcated Kaw, 27 community forests, four forest reserves, and three wildlife sanctuaries. The event also included a memorial service for indigenous leader and environmental activist Saw O Moo, a fierce advocate for the Salween Peace Park who was killed by members of the Myanmar military last year. The Salween Peace Park is the result of several decades’-worth of grassroots efforts such as the establishment of community forests, the enforcement of fish conservation zones, and the demarcation of “Kaw,” or traditional indigenous lands. The park initiative was spearheaded by local communities, Karen civil society groups, and Mutraw District leaders in order to protect these community-based efforts as well as “to demonstrate what truly good governance could be and provide a people-centered alternative to top-down, militarized development,” according to a brief on the Salween Peace Park Charter circulated by KESAN. In particular, the park was created as an alternative to allowing the construction of hydroelectric dams and mining in the Salween River Basin. 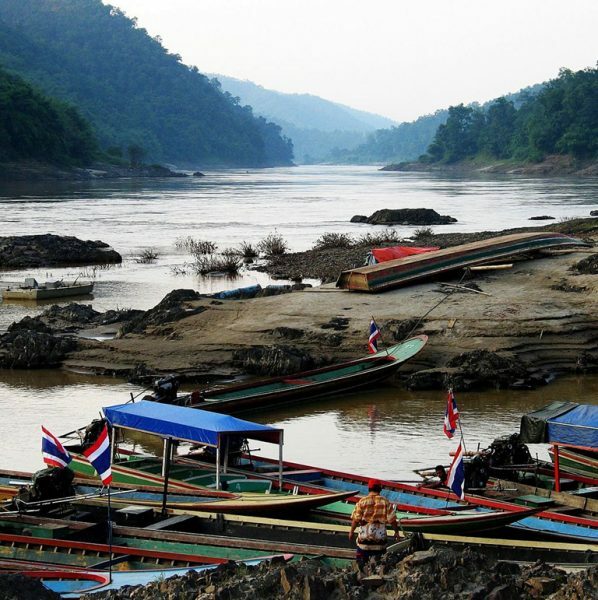 The Salween River, also known as the Thanlwin River and the Nu River, is important to the cultures and livelihoods of a number of indigenous and ethnic groups in China, Myanmar, and Thailand. Though the region has been subject to decades of conflict between Karen peoples and the Myanmar military, the Salween River Basin in Kayin State is considered one of the most biodiverse areas in the Asia-Pacific region, harboring species from the Asiatic black bear and the sun bear to the eastern hoolock gibbon and the Sunda pangolin. A growing body of research has consistently shown that recognizing the claims of indigenous peoples to their traditional territories is one of the most effective ways to protect forests and biodiversity. A 2018 study found that indigenous peoples either own, use, or manage some 38 million square kilometers (nearly 9.4 billion acres) — more than one-fourth of the world’s land surface — and that two-thirds of that land is in a “natural” state, which means there are twice as many unspoiled areas in those indigenous-controlled territories as can be found on other lands. The Salween River forms the boundary between Myanmar and Thailand. Myanmar is on the left bank. Photo via Wikimedia Commons, licensed under CC BY-SA 3.0. Front picture: The launch event for the Salween Peace Park featured traditional Karen ceremonies and performances as well as discussions about Karen culture and sustainable livelihoods. (c) KESAN.